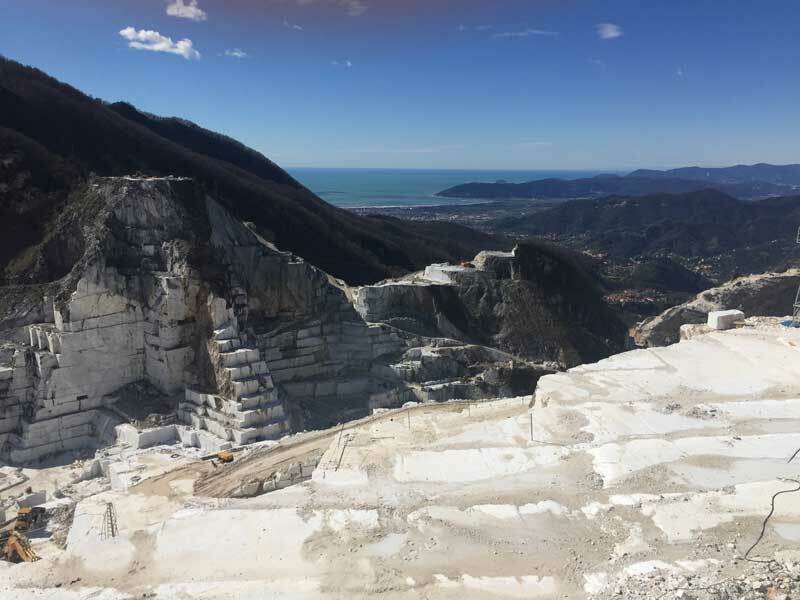 The four wheel drive tour has been worked out in order to fully immerse yourself into the world of the quarries and of their workers. ou will able to visit antique ones, ones that are still in progress, ones inside galleries and the area in which Michelangelo chose his marble for his mastepieces. 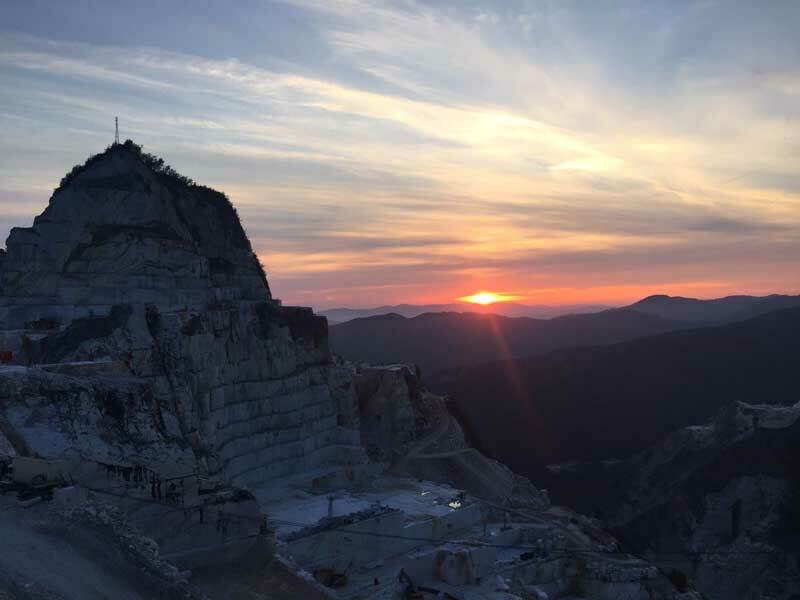 We will climb up to one of the highest quarries through paved and dirt roads to observe, from above, the quarries that overlook the coastal plain down to the sea. 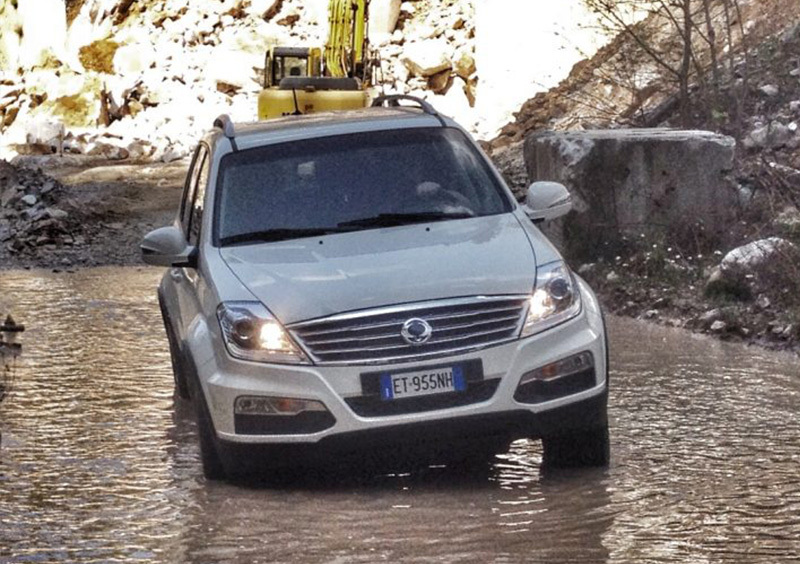 Pick up service from Carrara or from nearby areas. 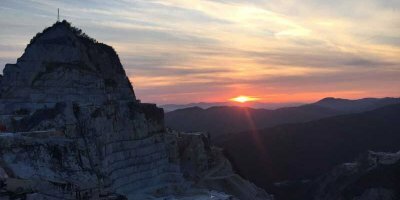 We will approach the quarry n° 177 in Colonnata by four wheel drive and from there on, take a walking tour to visit one the oldest quarries still in progress. Between antient roman columns and antique manufacturings we will talk about excavation and processing techniques over the past centuries; while walking inside the extractive heart of the quarry you will able to observe the daily used machineries and analyze the different marble themes, its extraction and transportation, its origin, its trade and other curiosities. The tour will continue by four wheel drive through the old marble railroad that will lead us to the famous bridges of Vara for a stop and a taste of the lardo of Colonnata and it will go on until we reach one of the highest quarries of the area through a partly paved, partly dirt road, to enjoy the breathtaking view from the quarries to the sea. 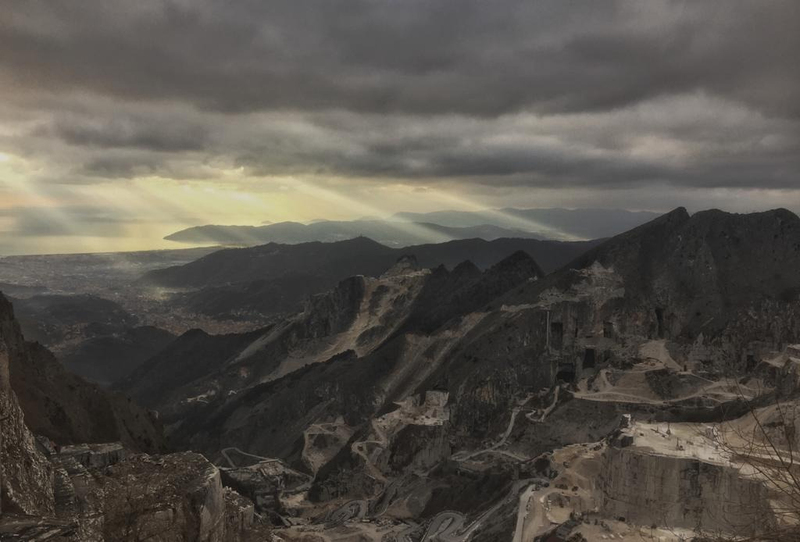 From here on we will follow the old marble railroad that was used to move the blocks of marble from the quarries to the sea through tunnels and galleries since 1860. We will make a stop on the famous bridges of Vara and taste the lardo of Colonnata. 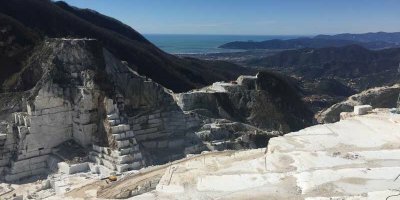 till through the old marble railroad we will get to the valley of Torano and closely admire the quarry in which Michelangelo chose the blocks for his famous works and stop in an important quarry known for its excellent sculpture marble. Passing through a very evocative gallery we will go into the only quarry entirely born and developed inside the mountain. 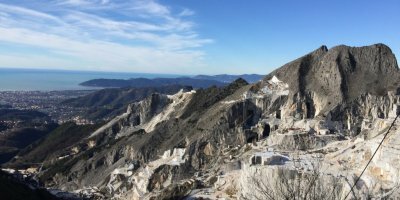 Years of excavation gave birth to a unique quarry, a cathedral nestled within the marble. 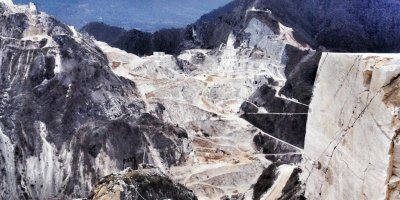 Finally we will climb through a quarry route partly paved, partly dirt, along the road that are daily travelled by trucks and quarry workers, to reach one of the highest quarries of the area and enjoy from up there the beautiful landscape that envelope Carrara’s quarries from the apuan Alps to the sea. 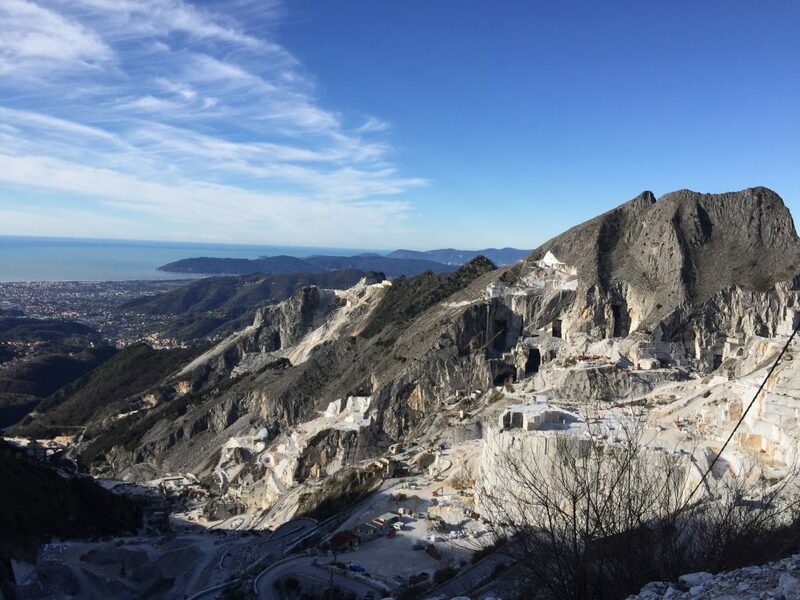 These are our two quarry tour choices by four wheel drive; you will have the possibility to enrich them by visiting the city of Carrara, sculpture workshops, museums and much more. 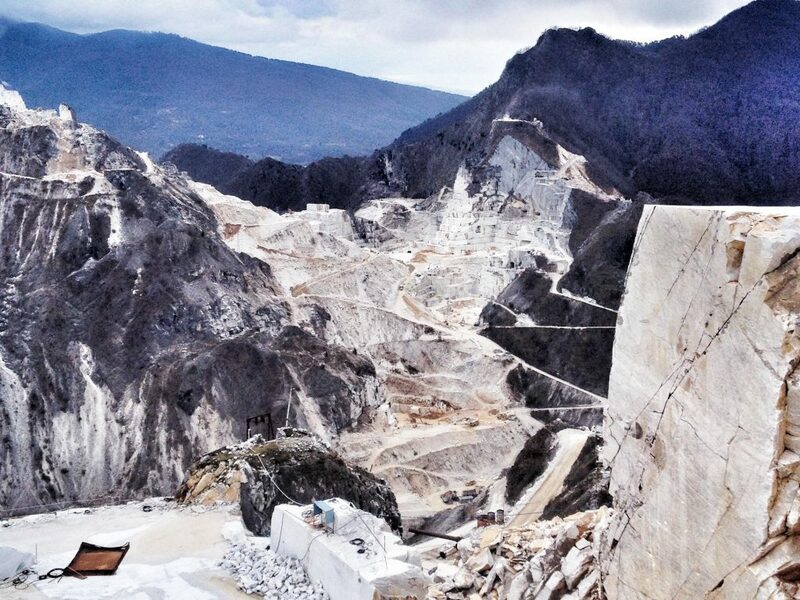 It will be also possible to customize tours and personanlly choose the quarries to visit.